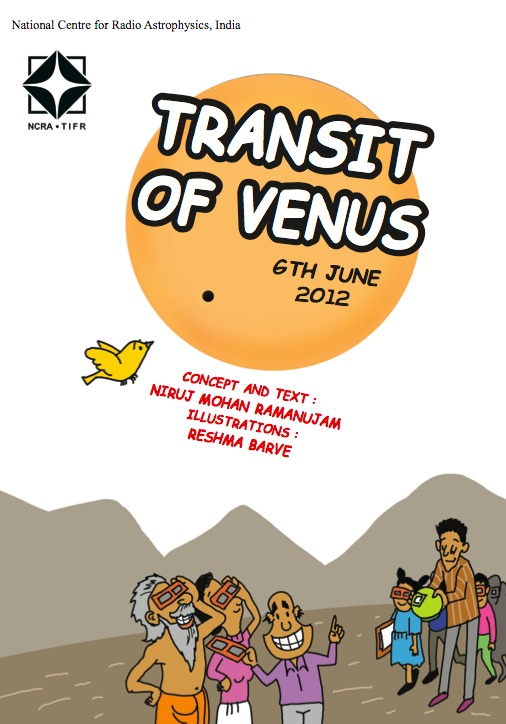 Click the links below to download a fantastic book on the Transit of Venus. Now available in 15 and a half languages! This work is licensed under a Creative Commons Attribution-NonCommercial-ShareAlike 3.0 Unported License. Published by the National Centre for Radio Astrophysics (India). This resources was created or free download, distribution, printing, hosting, etc.